Many employers rely on a financial professional to help select and monitor investment options for the retirement plan they offer to their employees. But being an advisor to retirement plan clients allows you to offer more than investment expertise and benchmarking support. You can also provide valuable support to plan sponsors by educating them about their responsibilities as an ERISA plan fiduciary and helping them design policies and procedures that will drive fiduciary compliance. Newport Group Fiduciary Consulting can be your partner to deliver this value to your prospects and clients. If a fiduciary does not follow the fiduciary standards of conduct, the Department of Labor (DOL) has authority to enforce the rules through civil and criminal actions. Participants and other plan fiduciaries also have the right to initiate lawsuits to correct fiduciary wrongdoing. In a recent case brought by participants in a New York University 403(b) plan, the plan fiduciaries were accused of imprudently managing the selection and monitoring of recordkeepers, resulting in high fees, as well as imprudently retaining certain investments, resulting in significant losses.1 Although the Court ultimately ruled in favor of the fiduciaries, in its opinion, the Court pointed out that several members of the plan committee had a concerning lack of knowledge of their fiduciary responsibilities or even their status as a fiduciary. Unfortunately, many plan sponsors today lack experience with what it means to be an ERISA fiduciary. Advisors can help provide the education needed to ensure that plan sponsors understand the scope of their responsibilities and the steps they should take to satisfy the prudence and due diligence requirements in overseeing plan administration and managing plan investments. The level of fiduciary education needed for each client will vary depending upon the experience of the plan sponsor, any company employees who are involved in plan operations (e.g., human resource director), and the scope of their responsibilities. Plan advisors should also educate plan sponsors about the importance of developing written policies and procedures for all critical fiduciary functions, such as selecting and monitoring service providers and plan investments. Just as important as developing procedures is maintaining records documenting compliance with the plan’s procedures and other fiduciary activity. Finally, plan sponsors should understand how to conduct periodic checkups to review their practices to determine if their policies were followed and identify any necessary corrections. 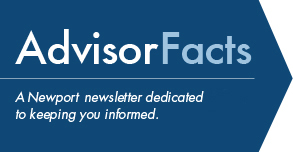 Educate plan sponsors about fiduciary responsibilities. Help plan sponsors understand what is required to meet the ERISA fiduciary standards of prudence and due diligence when managing plan operations, investments and expenses. Many advisors include this valuable fiduciary education in their annual or quarterly meetings with plan sponsors. You may want to determine now which fiduciary education topics you want to focus on during the 2019 calendar year. You can choose topics to coincide with plan year deadlines or with specific services you provide, such as benchmarking fees or investment reviews. Alert plan sponsors about regulatory changes and industry trends. Not only should new plan sponsors and other individuals new to the fiduciary role receive foundational fiduciary education, but fiduciaries should also receive ongoing training to stay up to date with DOL and Internal Revenue Service (IRS) proposals or enforcement initiatives, new products and services, and retirement plan trends. Use free education materials from the DOL. The DOL has published free education materials to help plan sponsors understand their fiduciary responsibilities. These materials may help you determine which fiduciary topics to include in your education program and can be used as a supplement to your presentations. This publication describes a plan sponsor’s responsibilities as an ERISA fiduciary, including limiting liability, meeting bonding requirements, timely depositing employee contributions, avoiding prohibited transactions, hiring and monitoring service providers, and informing participants and beneficiaries about the plan. In addition to helping plan sponsors understand that they have a fiduciary responsibility to ensure that the services provided to their plan are necessary and that the cost of those services is reasonable, this publication explains the various types of fees that may be charged to a retirement plan and the factors that might have an impact on the fees (e.g., revenue sharing arrangements). Join Newport Group in April for a webinar to learn how Newport Group supports advisors with Fiduciary Consulting services. It will take place Wednesday, April 25, at 4 p.m. ET (1 p.m. PT). Click here to register to attend. Later that month, we will also host a companion webinar for plan sponsors on fiduciary governance. Click here for more information.